I finally have gotten around to categorizing my senior care and senior gift articles in one place - there's 61 of them! 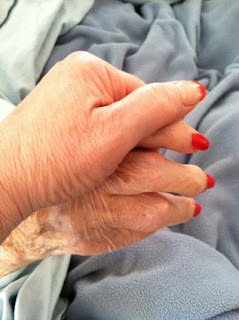 I'm about to start in on a serious writing career and am going to write a book about caregiving. Lord knows I have the experience! Please leave me comments on the bottom of the article if you visit. Note: you don't have to be a member of Squidoo to comment. BTW: Mom's birthday found me surrounded by the best of friends. Instead of the day of mourning I had predicted, the day turned into a celebration of her life - much nicer than I had expected. We talked about Mom most of the day - telling stories about her and remembering her with great warmth. She was very much a part of our day. She's very much a part of every day.